Major Title Change At NJPW New Beginning - Wrestling Inc. 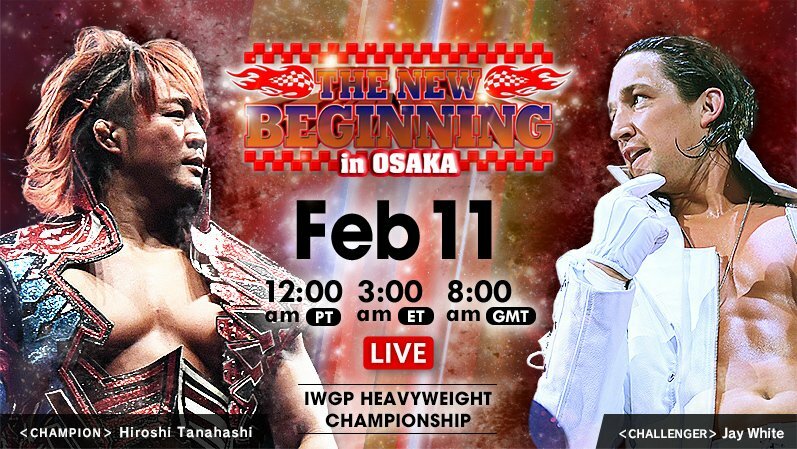 It is a new, Cutthroat Era in New Japan Pro Wrestling, as Jay White beat Hiroshi Tanahashi to become the new IWGP Heavyweight Champion during the main event of The New Beginning in Osaka. The former IWGP United States Champion continued his dominance over the former champion, whose reign ended at about 38 days after defeating Kenny Omega at Wrestle Kingdom 13. He made his intentions known at NEW YEAR'S DASH!! when he attacked Tanahashi and posed with the title. White would attack the legs of the elder Tanahashi throughout the bout. In the end, White countered Tanahashi's High Fly Flow slash into a Blade Runner to become the 68th IWGP Champion in the companies history. The Switchblade has beaten Tanahashi before, and now he can say he has beaten him once again along with Omega and Kazuchika Okada. After the bout, White cut a promo announcing his path from a Young Lion to the champion. "I just beat Tanahashi again. I am the champion in spite of each and every one of you," White stated. "I said at a press conference I would take this and I would spit on your face and that's exactly what I'm doing when I have this belt. I don't play by your rules, I don't show heart and compassion like Tana. It doesn't matter, because I am the real IWGP Heavyweight Champion. I do not do this for any of you, I do this for me, I do this for Gedo, I do this for the Cutthroat Era Bullet Club. It is a new dawn, a new age, a new beginning. And Tana and all of you can only breathe with The Switchblade. Welcome to my new era."